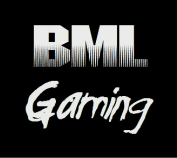 BML Gaming is a small organization that will soon grow into creating and developing large Multi-platform video games for the public. We are always looking for devolopers to help us start making games! At the moment we are largest on Steam. Come join our Steam Group!